oshyn: Appropriateness of Microsoft SharePoint 2010 for a real world project - Open Text Web Solutions Usergroup e.V. Oshyn developed a managed website in Open Text Management Server (RedDot CMS) for an important company that sells electric/communications testing equipment and other solutions. Multiple presentations for some pieces of content (Promos), depending on the context. Dynamic inclusion of pieces of content by date of release. Editing of content and pieces of content in visual mode (SmartEdit), so editors are aware of the visual changes they’re making to the site. Workflows with 1 or 2 approval steps, email notifications, and automatic submission for translation or adoption of content in other languages. All of these features have been implemented by using native (out-of-the-box) features of CMS and LiveServer, and some custom code (combination of Classic ASP and .NET). One of the defining features of the site is multi-lingual support. 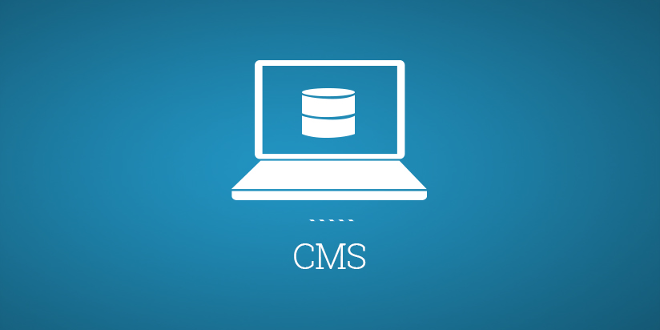 CMS and LiveServer support natively language variants for content. This makes the flow of content between languages very easy, it can be included in workflow, but it can complicate sometimes the maintenance between different language sites (i.e. content synchronization) since it needs verification by the user of all content submitted to other languages. This project includes another level of customization on top of language variants, and it is localization. This means that for a same language variant, there can be different versions of SOME content for different countries. This applies mostly to modular content (promos, contacts, products, etc.). RedDot tools do not natively support this level of localization, so custom tools where built in CMS, LiveServer and .NET. SharePoint has always been, and in this new 2010 version still is, mainly an internal corporate collaboration/document management/process management tool. The new 2010 version includes more CMS features than previous versions, including workflows for sites, easier integration of artifacts in SharePoint Designer, and overall developer-friendly tools based in .NET and Silverlight for added site interactivity. But one missing point (and critical for this project) is native multiple language support. Since SharePoint is very developer friendly and extensible by coding, something similar to multi-language support could be implemented in .NET. Even workflows are extensible by coding, so it would be customized to support “language variant” flow of content. But this adds complexity and development time, with all the hassles it implies. Probably one area where SharePoint could be more efficient for implementation (except the localization part) is the multiple-presentations for Promos. In this project, Promos are small content modules that display promotions of a product/document/white paper with a small image, title, link to another page and a small description of the promotion. These little modules can be connected to several areas of the site, but for each area the presentation differs. So a same Promo can appear with one style in the site’s Homepage, and with another different visual style in a Product page, but with the same data. RedDot tools do not support natively multiple presentations of content (unless for Template Variants, that are used for different devices like printers, RSS, XML, etc. ), so custom code (ASP and Render Tags for CMS side, DynaMent code for LiveServer side) had to be written to change the presentation of the promos, making it more complex and difficult to maintain for developers, but easier for editors to connect and change the presentation. In SharePoint, User Controls could be created for handling promos and their presentation, fully modularizing the pieces of content and separating the data from the presentation. The company (our client) provides some documents (mainly PDFs and some Word files) that can be downloaded by site users, and include product descriptions, white papers, evaluation guides, and more. SharePoint native document management features would perform better than RedDot’s Asset Manager. In conclusion, although SharePoint includes better CMS tools than previous versions, it isn’t appropriate for a site like the one described here, that needs some features especially in the multi-lingual area. OpenText (RedDot) tools provide more general-purpose CMS capabilities out-of-the-box, that only need configuration, and any other customizations are possible by coding. In SharePoint, many features for this project need to be coded since there are not based in out-of-the-box solutions.